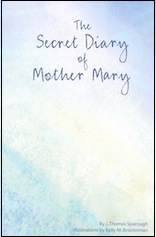 Not a complete diary of the life of Mary, it began at Jesus’ birth and takes us through 40 sacred months. It is a reflection of Mary’s joy, hardship, sorrow, faith, hope and love. Will her heart be pierced as Simeon pronounces at the Temple?